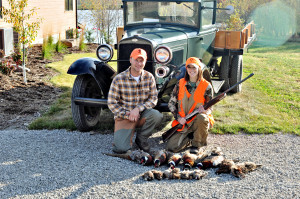 Sportsmen’s Alliance is proud to announce the newest addition to our Faces of Hunters blogging team – Andrea Haas! Andrea is an accomplished hunter who runs her own personal blog, Huntress View, where women hunters, whether they be experienced or beginners, can go to gain insight on hunting and shooting from a woman’s point of view. What is your favorite style/method of hunting? My favorite method has always been hunting whitetail with my bow, but bird hunting with a shotgun is earning a top spot as well. They are both completely different methods and styles of hunting and I’m not sure that I really prefer one over the other since they aren’t really comparable in my book. Whitetail hunting is a more serious type of hunt and less active than a bird hunt. I either sit in my tree stand or ground blind, and let the deer come to me. There’s not much spot and stalk hunting where I live. I follow a scent control regimen and hunt only when the wind is in my favor. Everything has to come together perfectly in order to harvest a deer and when it finally does, the excitement I feel and knowing that I’m putting meat on the table is worth all of the hard work and hours put in. I enjoy bird hunting just as much, but for different reasons. There’s usually a more fun and carefree atmosphere with bird hunting, which I find to be refreshing after months of being so serious hunting deer. I don’t have to worry about scent control and hunting the wind. I’m no longer hunting solo, like I usually do with deer, and I enjoy the company of my husband or friends. Plus, there’s just something so rewarding with wing shooting. It comes with its own set of challenges, like learning how much to lead the birds, the different choke tubes, shot sizes, etc. I really enjoy the unique challenges of both types of hunting. What do you do for a living? If retired, what did you do? I’m a patient account representative at a local hospital. I assist patients who don’t have health insurance with signing up for programs that will help them get coverage for their bill or that may reduce the amount of their bill, and follow up on these applications until they are approved. 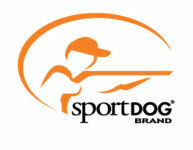 Why did you join Sportsmen’s Alliance? It seems that it’s never been more important than now to protect our outdoor heritage and protect against anti-hunting propaganda. We as hunters love to use social media for networking and sharing our harvest photos, but anti-hunters love to use it just as much for bashing us. The Sportsmen’s Alliance is very active in defending hunting, fishing & trapping nationwide against lawsuits and ballot issues. Plus they are actually working on measures to protect sportsmen from harassment and cyber-bullying. I still remember most of my hunts like they were yesterday but there are some that stick out to me more than others, one being the buck I harvested during the 2013 Missouri archery season. I hunted hard all season long and nothing seemed to go quite right. My first encounter with my buck was in mid November. A cold front was moving through and it was a very windy day. My buck came out at 25 yards broad side, but as I drew my bow back the wind blew my scarf in the cams of my bow. I opted not to shoot, rather than risk making a bad shot. Rifle season started shortly after and fell at the peak of the rut. A hot doe led this buck to me once again but they were right on the edge of a thick wood line and I couldn’t get a clear shot. I waited and waited, hoping they would make their way in front of my stand, but they didn’t come back. Muzzle loader season came next and sure enough I saw this buck again following a doe. They were at 150 yards and I took the shot once he turned broadside, only to shoot completely underneath him. I just knew at this point that I would never get another shot at this buck and I was extremely disappointed that I had managed to mess it up, once again. Season ended on January 15th, but my last day to hunt was January 12th. I had come to terms with the fact that I may not get a deer at all that season, but I gave it one last shot. It was unseasonably warm that day with temps in the mid 60’s and wind gusts up to 15 mph. I didn’t think I would see much deer movement but after being in the stand less than an hour, my buck stepped out in front of me 25 yards broadside and I took the shot. It was late enough in the season that most deer had shed their antlers already, but he was still hanging onto his. As he took off running, his antlers flew off of his head! I had heard stories of this happening before, but I had never witnessed it myself and probably never will again. It’s definitely a season I’ll never forget! I really feel that hunters that show no respect for the game they harvest are the biggest threat to our outdoor heritage. For example: people who shoot deer out of season, shoot more animals than they are allowed, or people who shoot a buck but only take the antlers, leaving the meat to go to waste. This is especially true when they post images on showing this behavior on social media. They just fuel the fire for the anti-hunters and give the true hunters, who care for the wildlife and utilize as much of the animal as possible, a bad name. Most hunters are not like that, but people who are against hunting will most likely choose to see only the bad side of it and use that to make a case against us. Who do you enjoy sharing your passion for the outdoor with? My husband, Jared. He is the one that introduced me to hunting when we started dating and taught me what I needed to know to get me started. We both share the same values on hunting and have the same “hunting style”, so to speak. We actually rarely will hunt together in the same stand. I will go to one spot, and he’ll go to another. We keep our phones with us and message each other off and on throughout the hunt to let each other know what’s going on in our “neck of the woods”, and he’s always the first one I call after I’ve shot a deer.